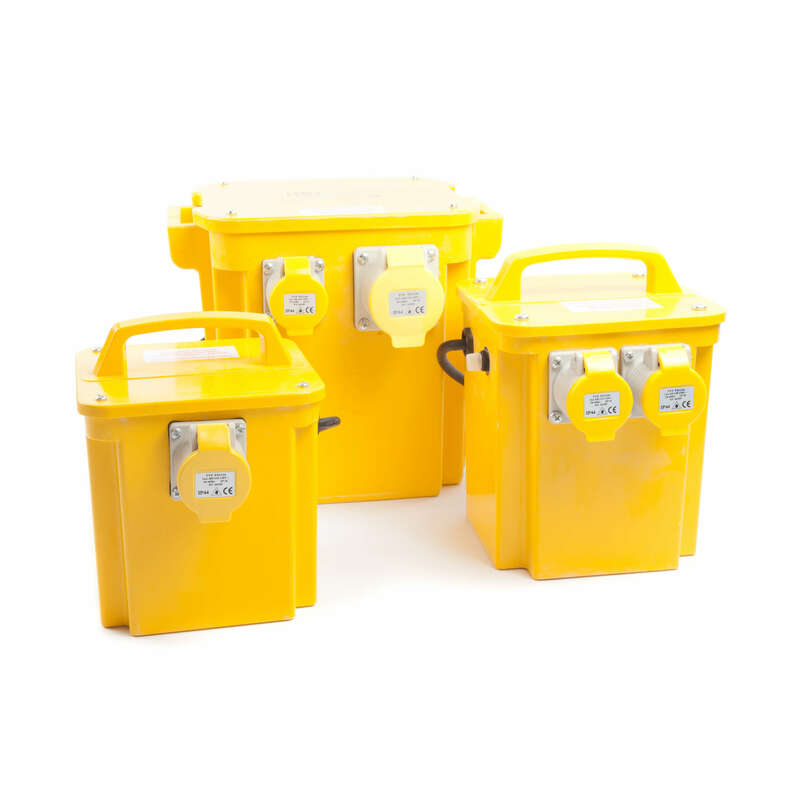 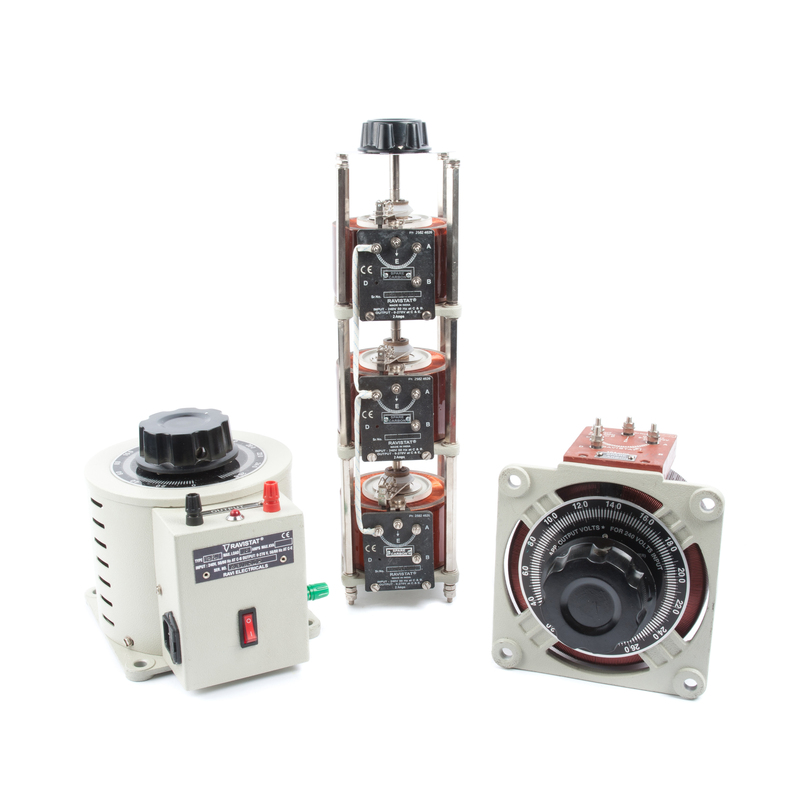 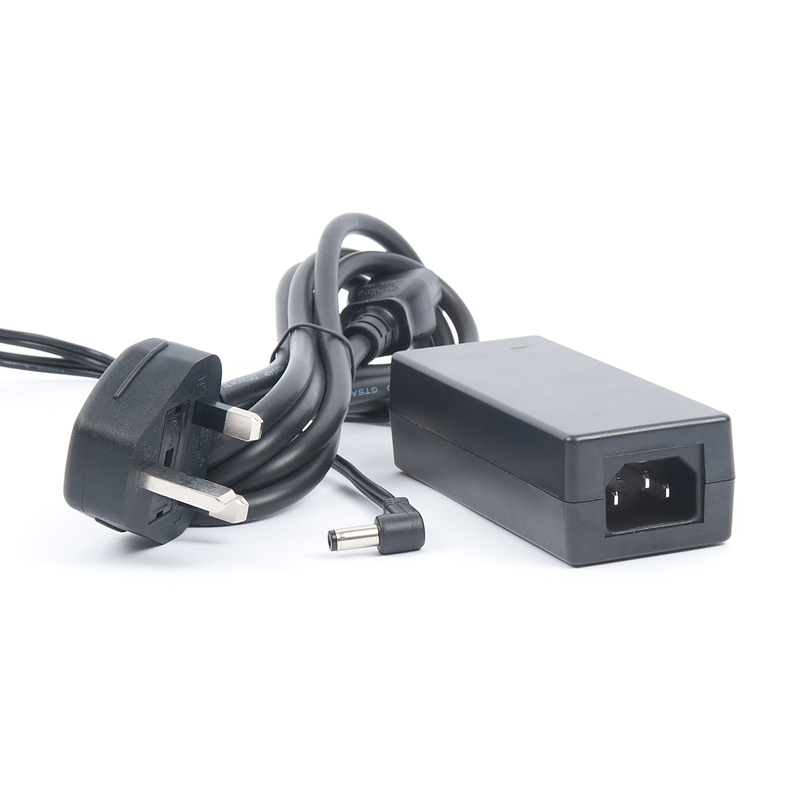 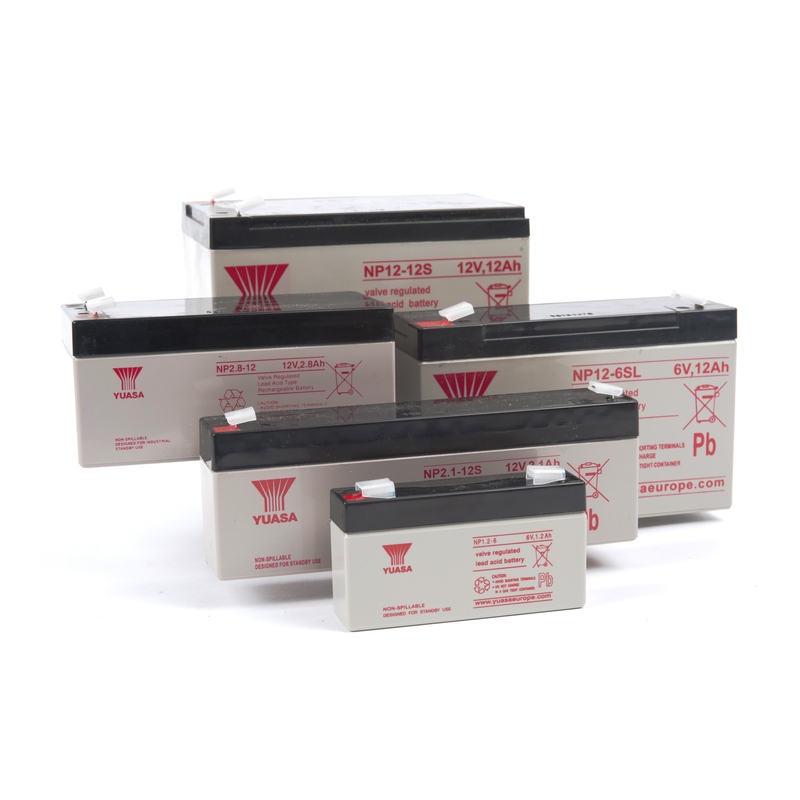 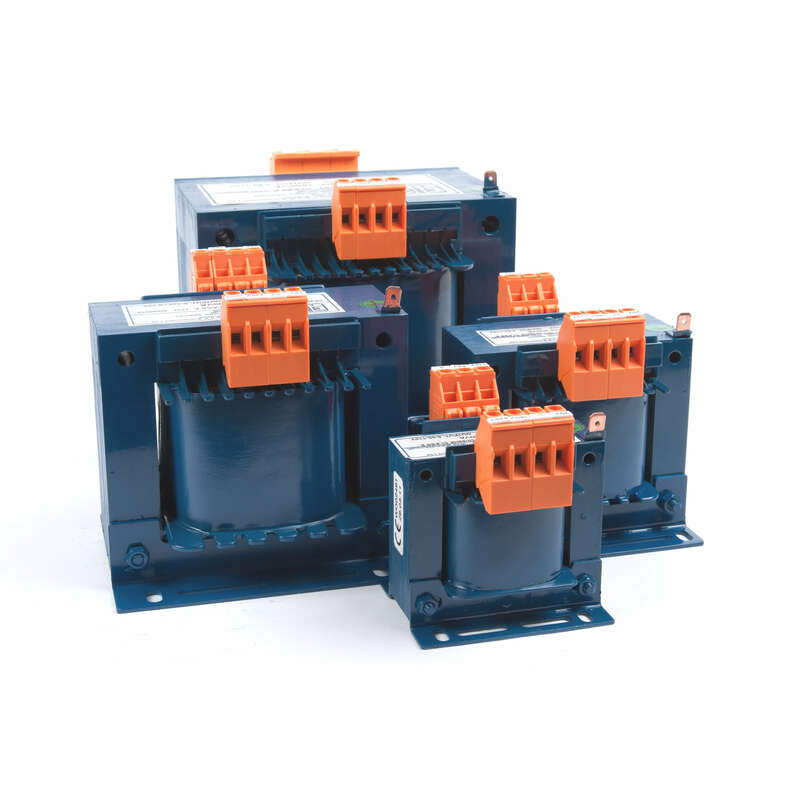 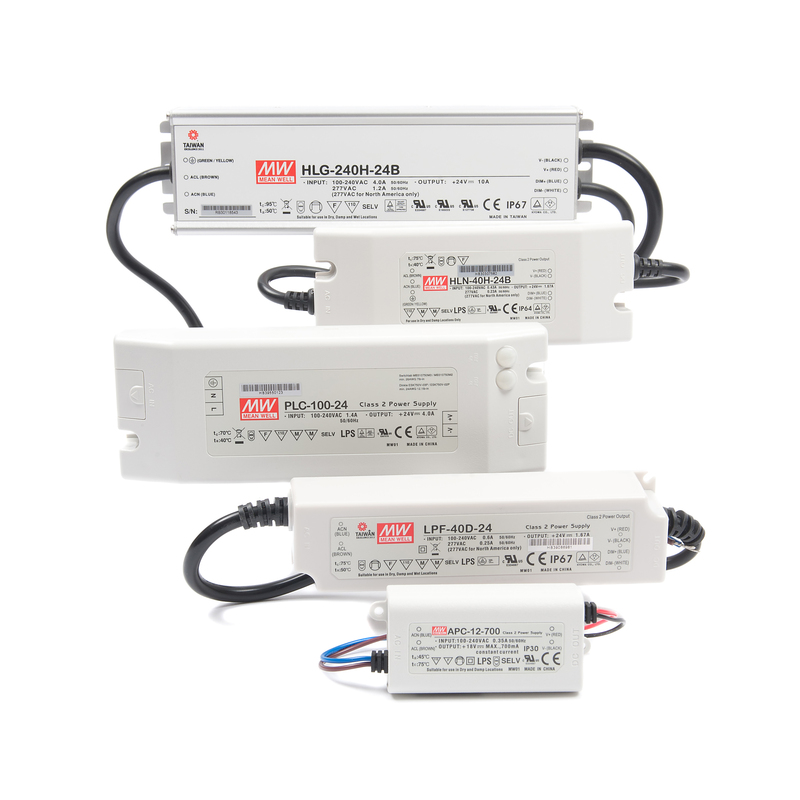 Our range of security series power supplies is comprised from four differing Mean Well ranges (DRC, PSC, SCP, and AD). 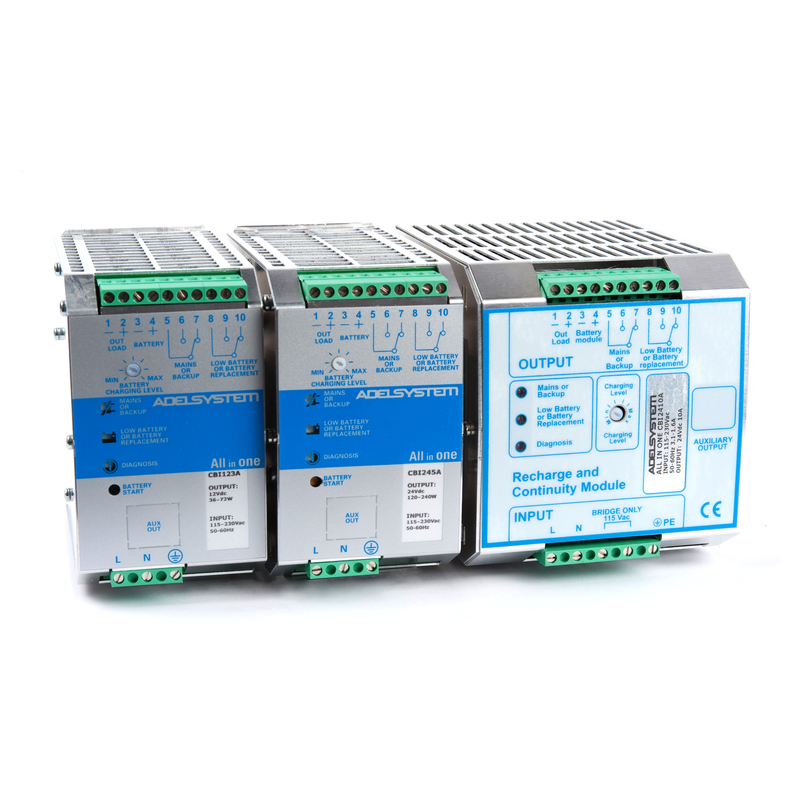 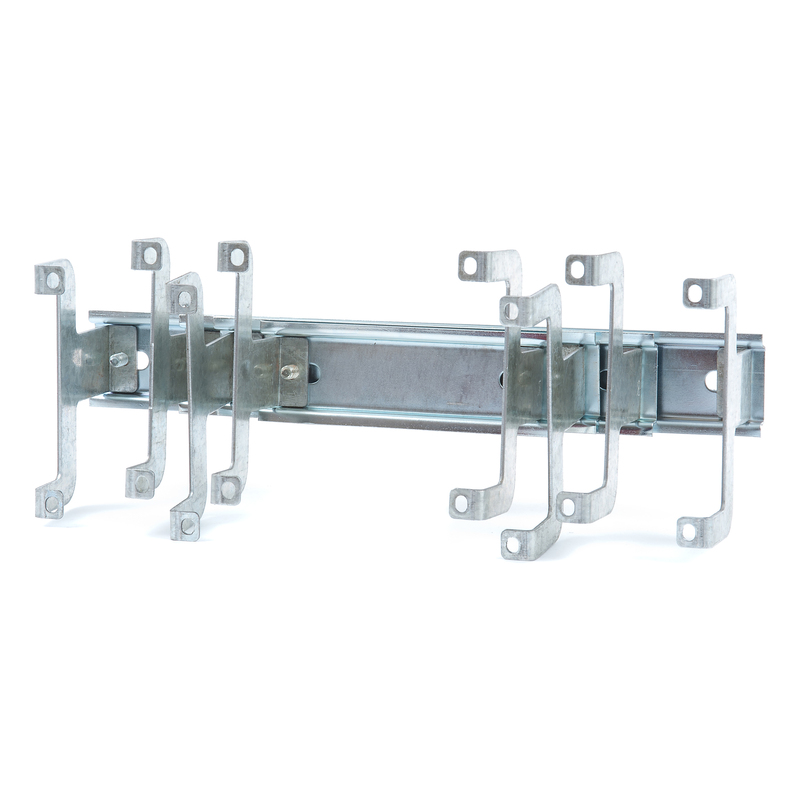 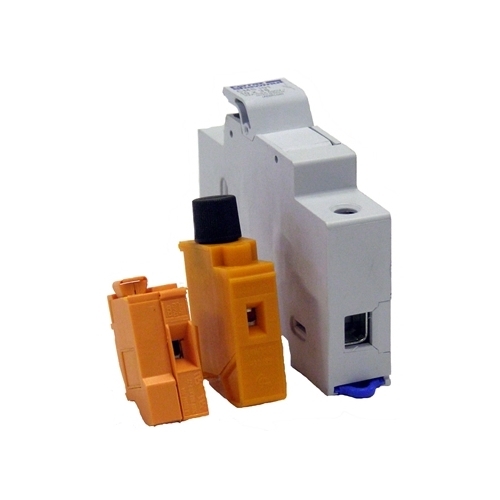 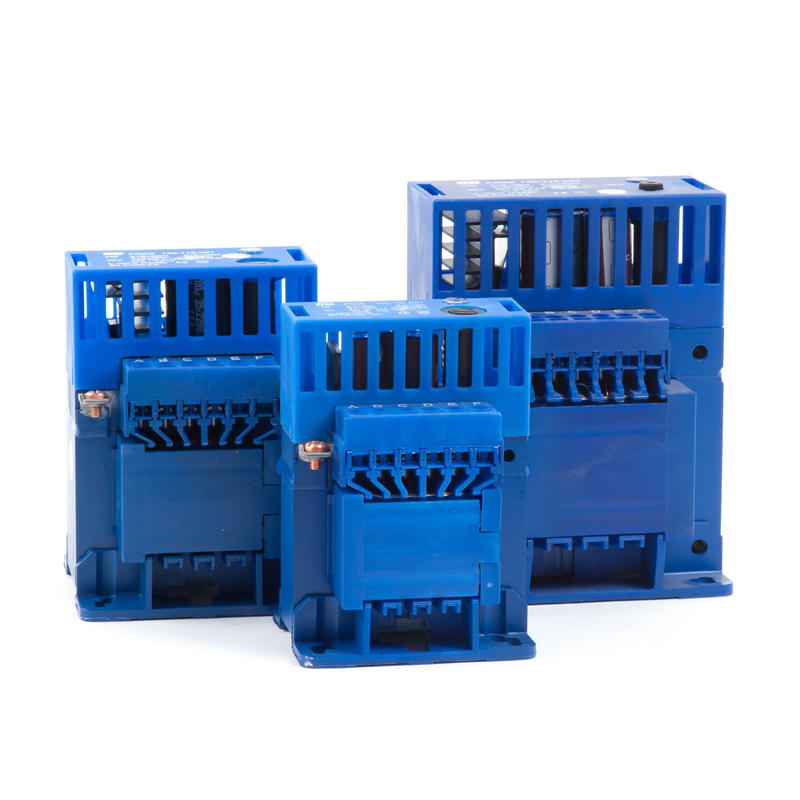 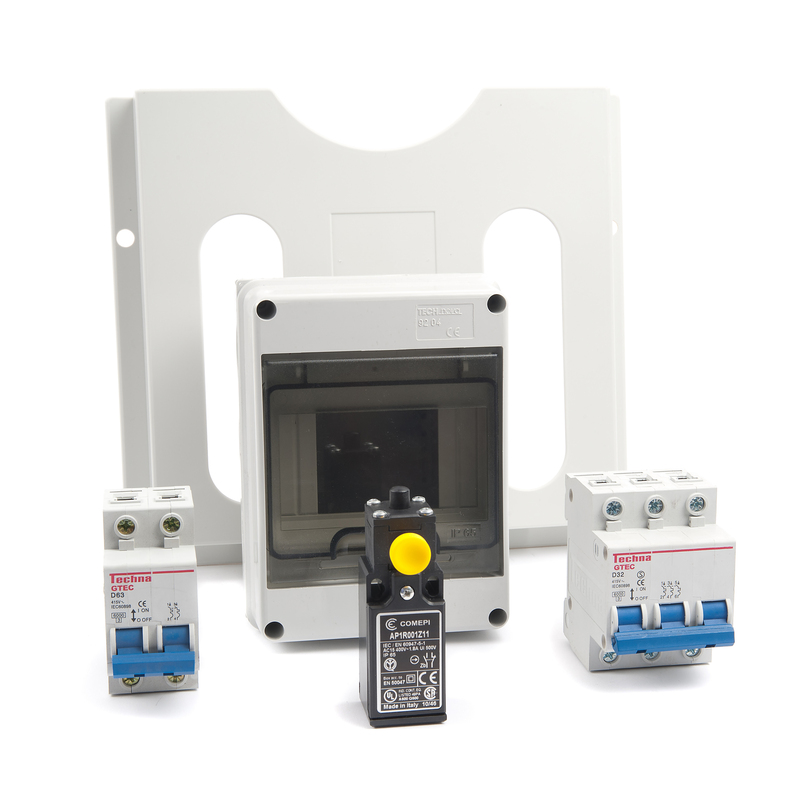 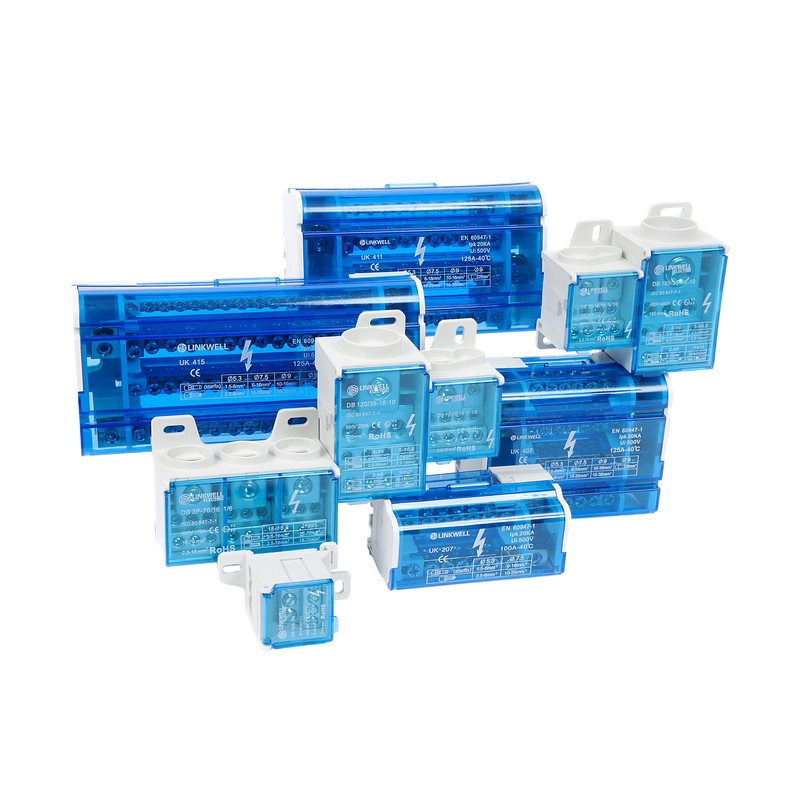 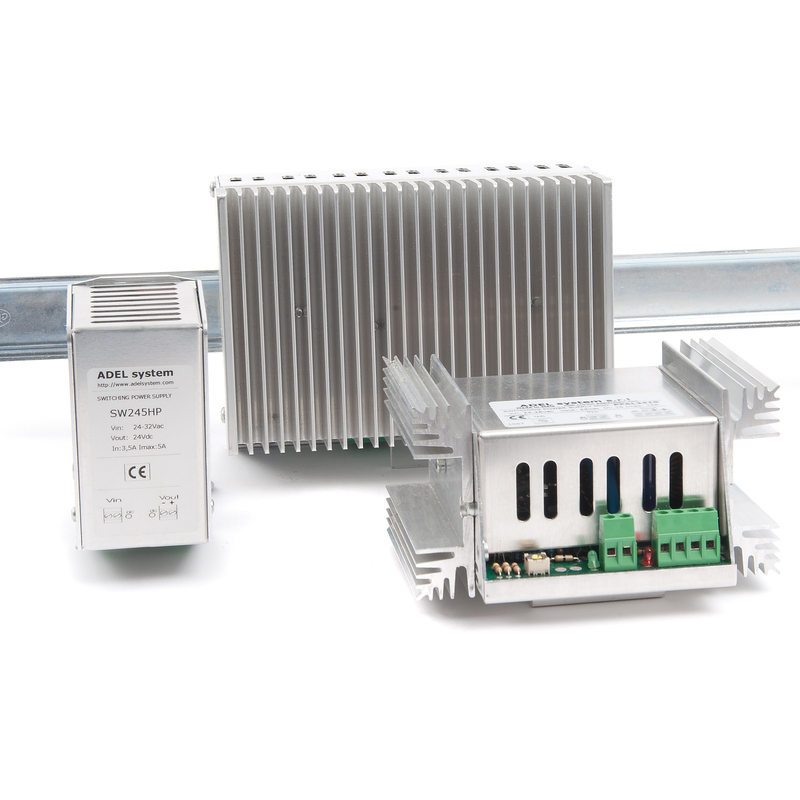 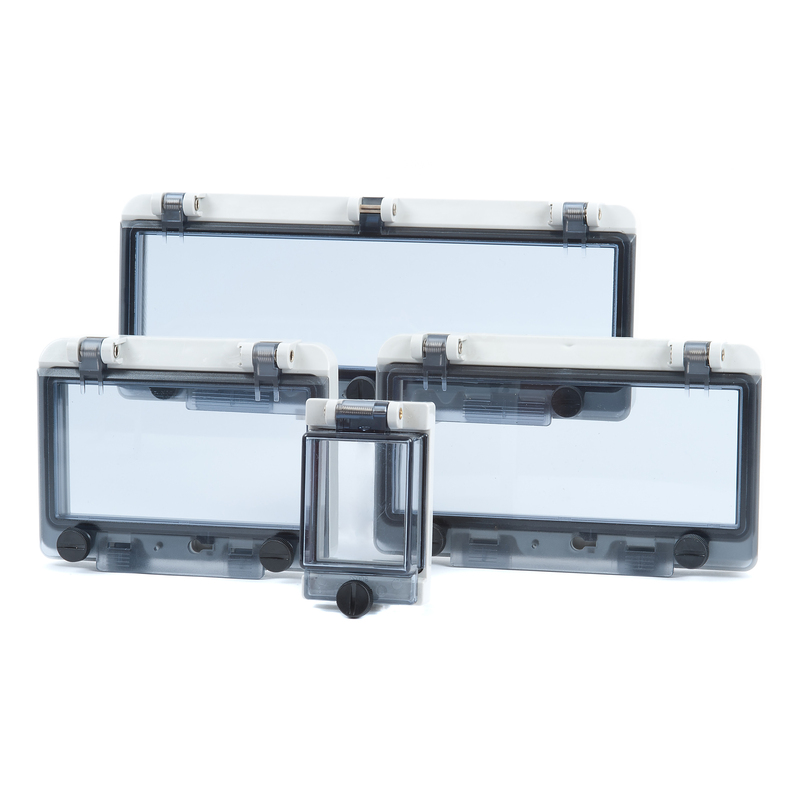 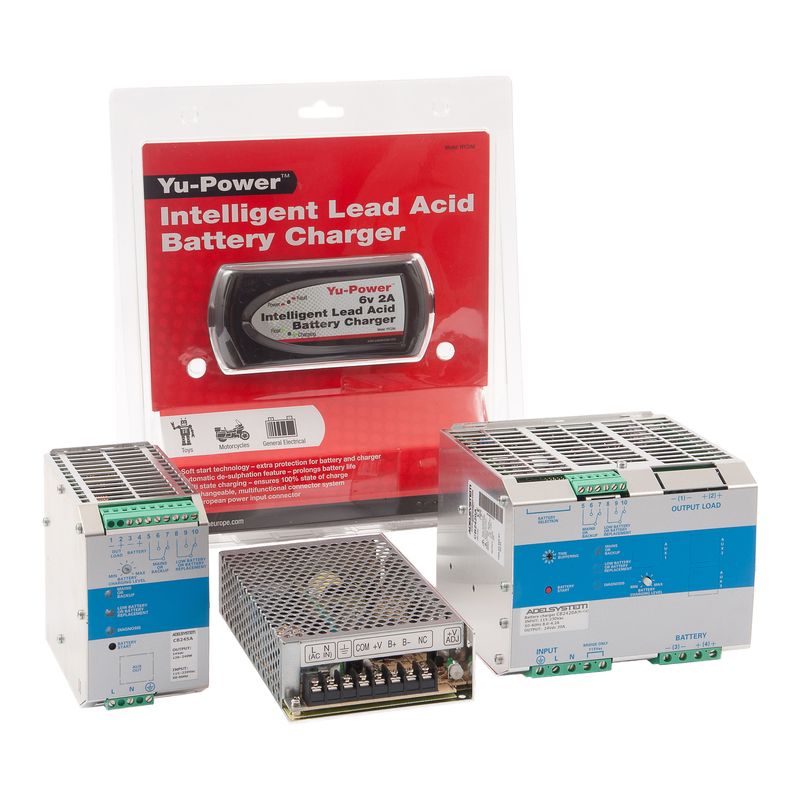 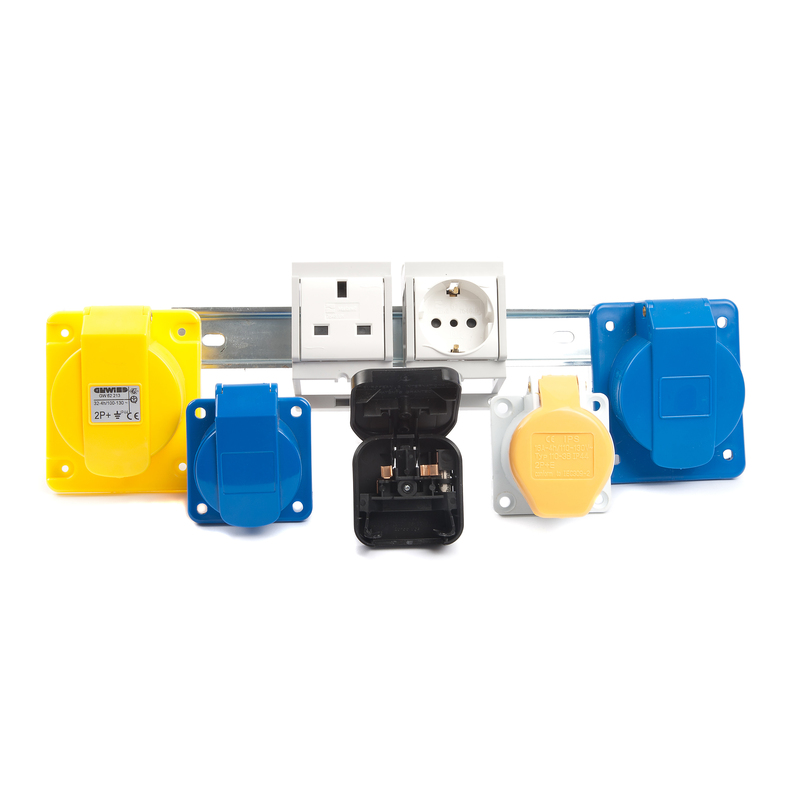 We have DIN rail, enclosed, and open-type ranges on offer with various additional features such as: AC to DC converters, battery chargers, and UPS functionality. 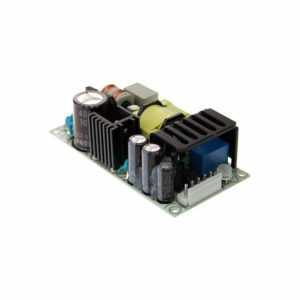 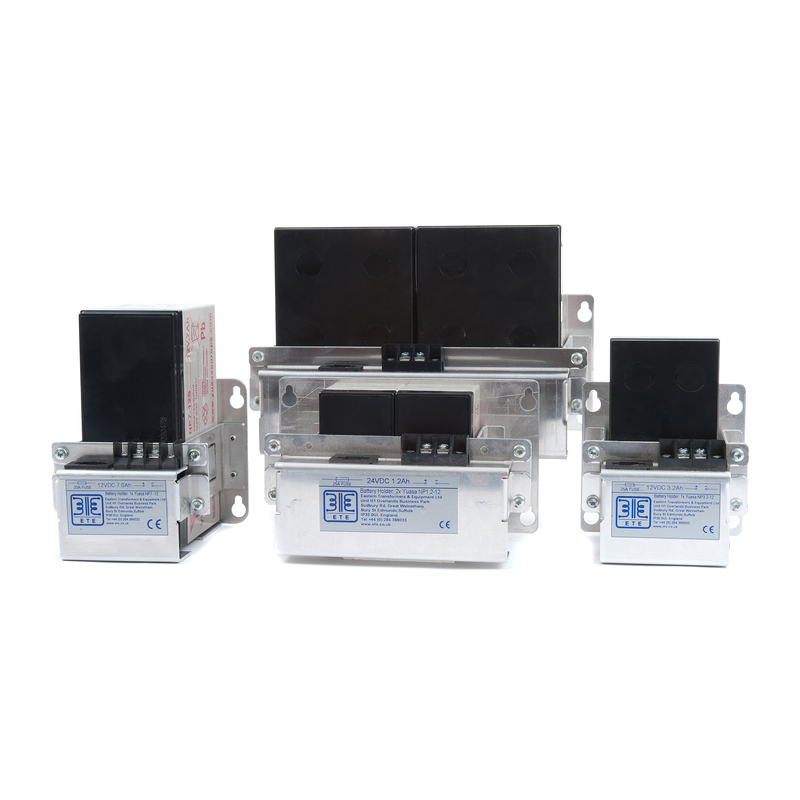 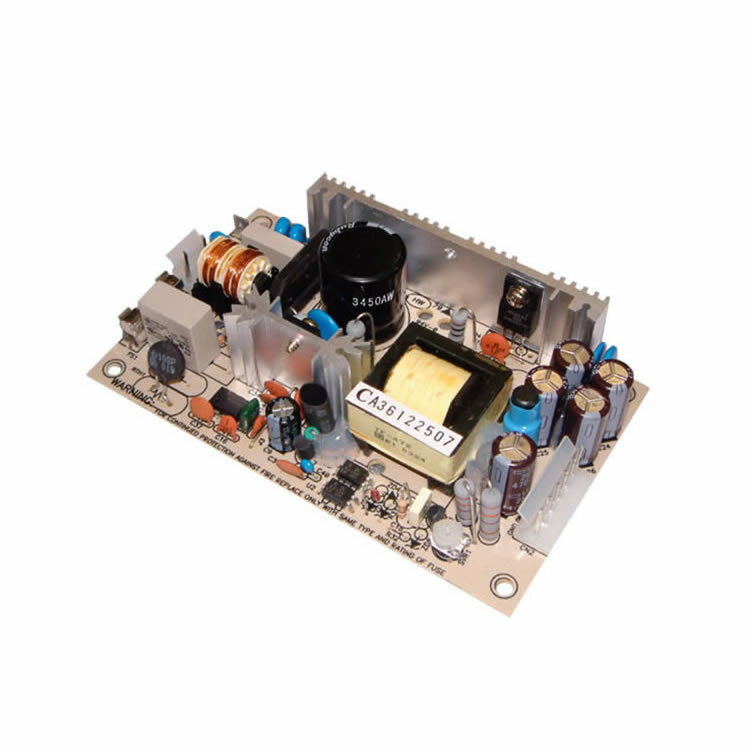 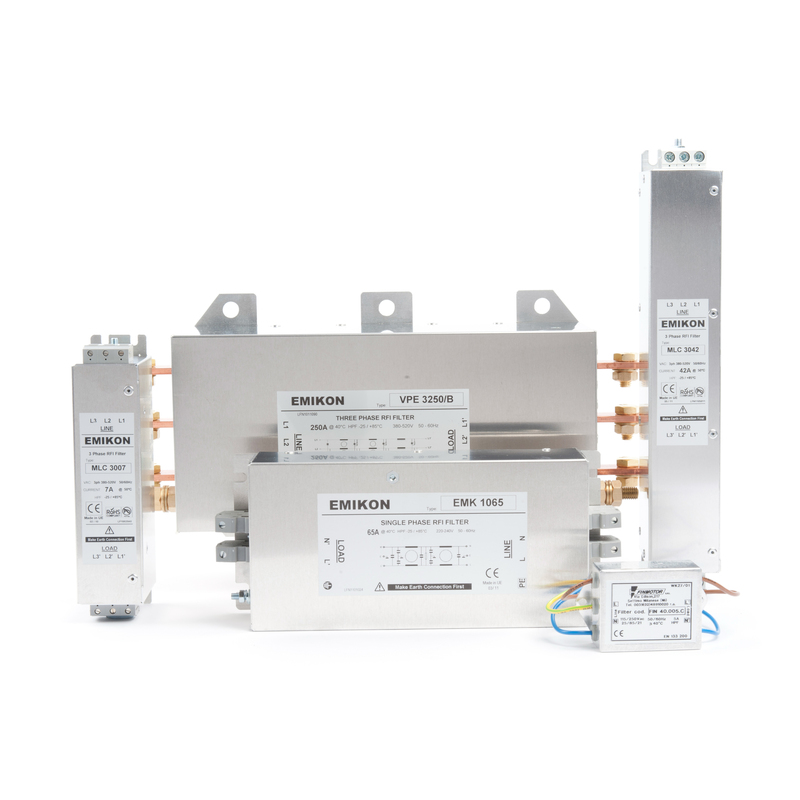 The power supplies within this category can be used for a wide array of applications, for example: application systems, security systems, emergency lighting, alarm systems, DC UPS, central monitoring, and access systems. 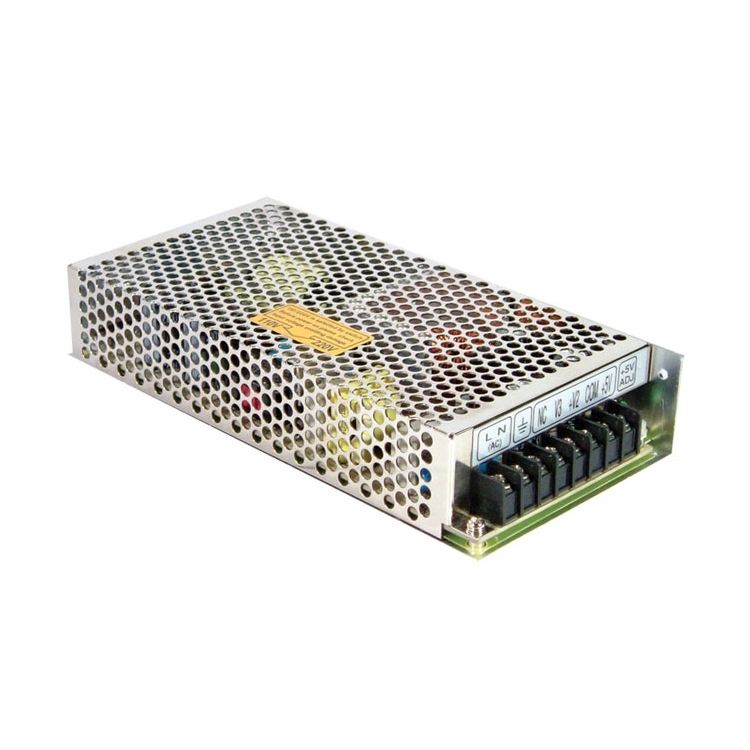 The PSUs range from 40 Watts to 155 Watts, with output voltages from 12V DC to 27.6V DC. 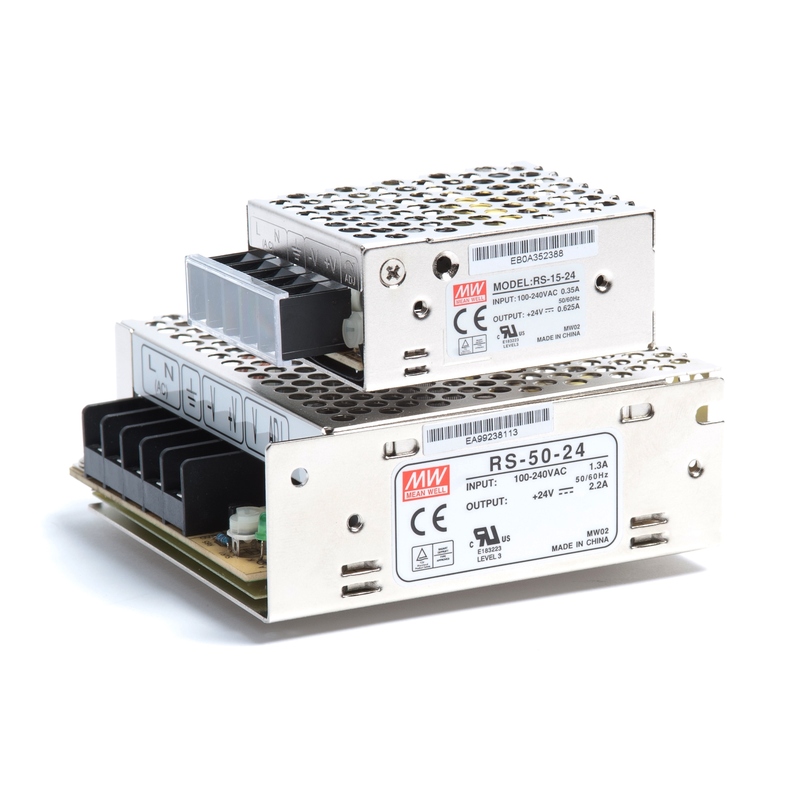 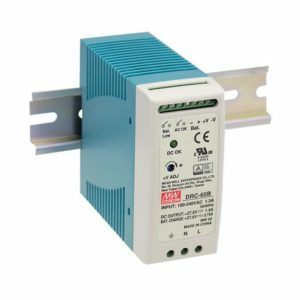 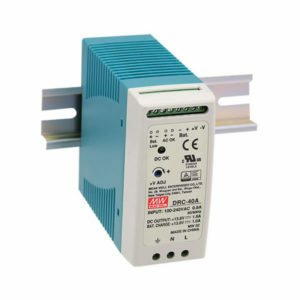 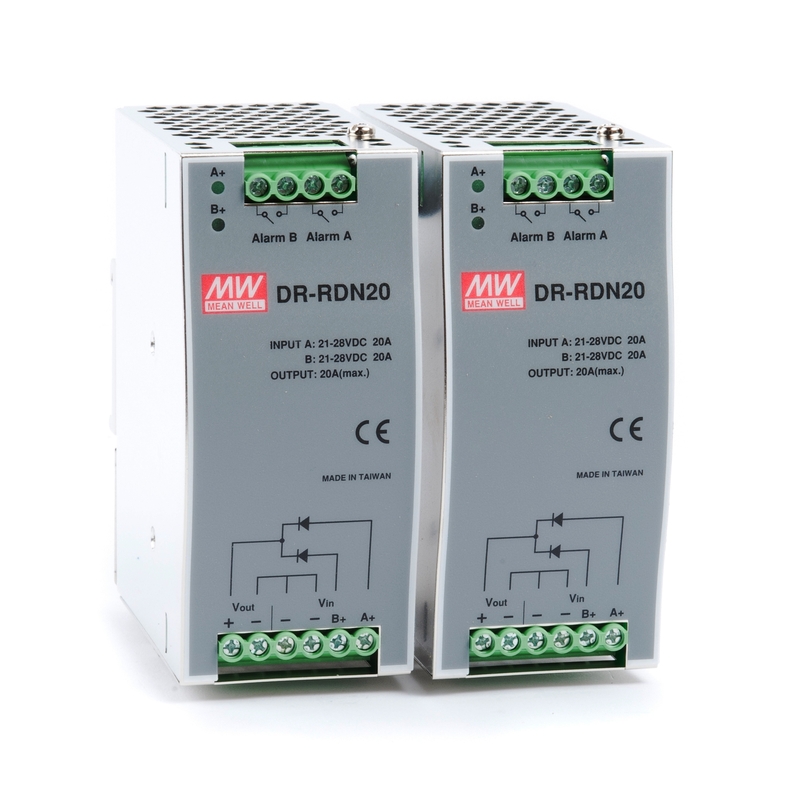 The Mean Well DIN rail single-phase (1ph) DRC series power supplies are designed for a wide array of security applications such as: application systems, security systems, emergency lighting, alarm systems, DC UPS, central monitoring, and access systems. 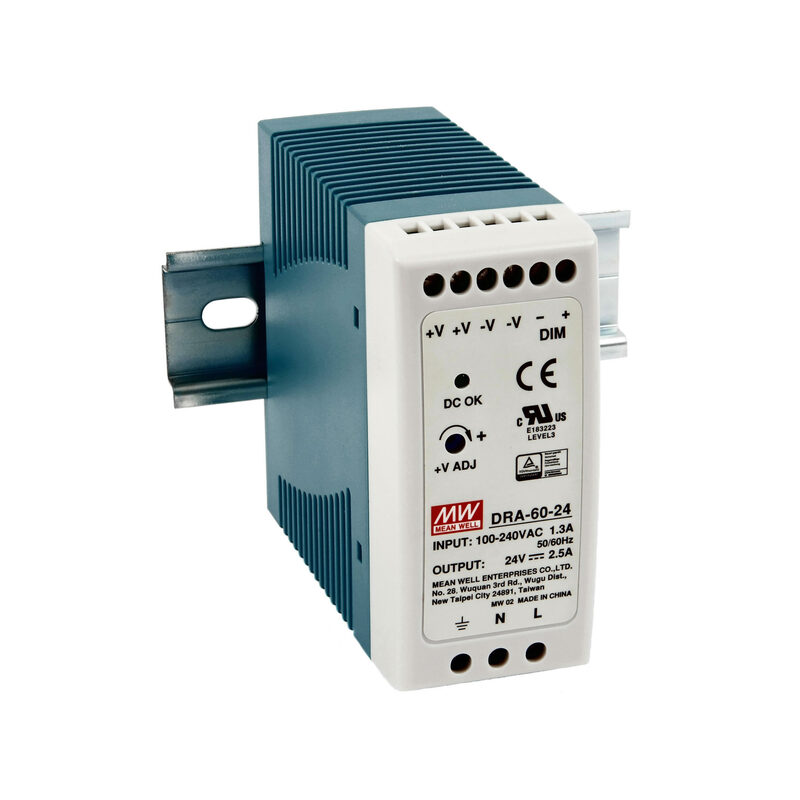 These single output PSUs are DIN rail mountable and feature battery charging capabilities and UPS functionality. 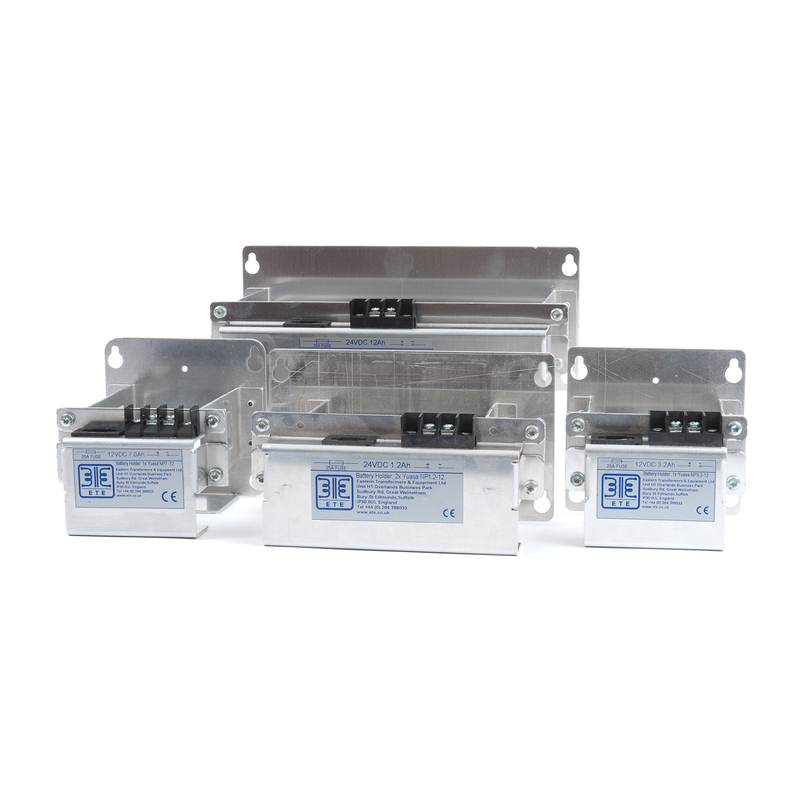 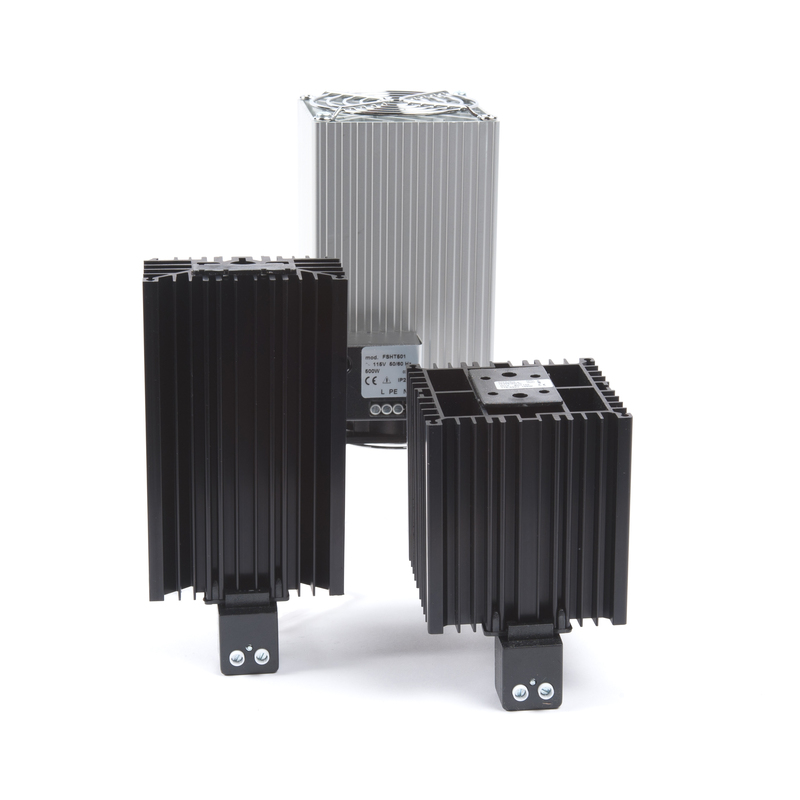 The series spans from 40 Watts to 100 Watts, with output voltages from 13.8V to 27.6V DC. 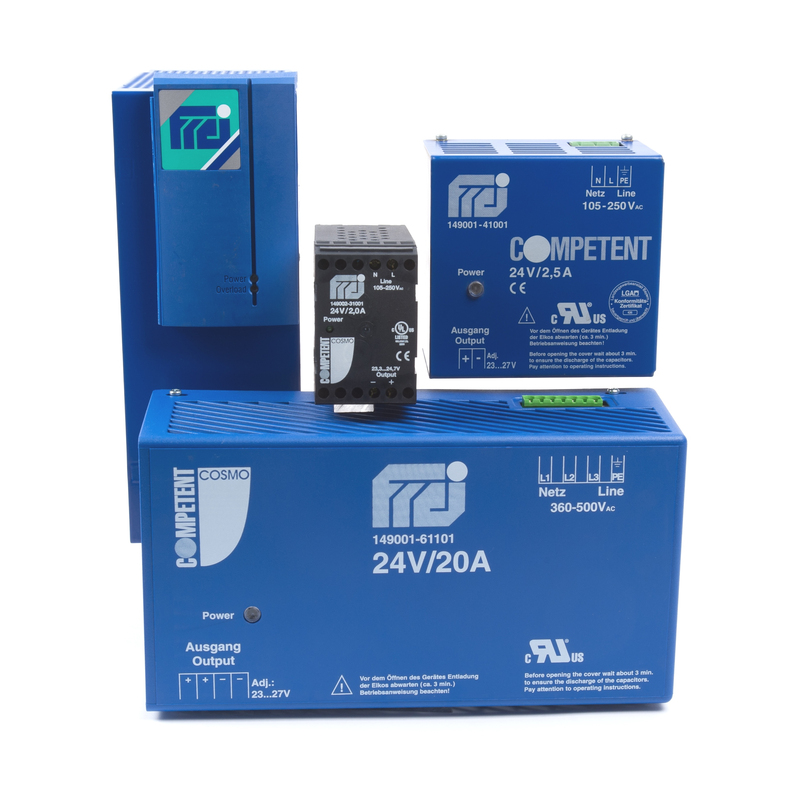 Select the power supply with the current rating of your choice, then pick your output voltage from the dropdown menu inside. 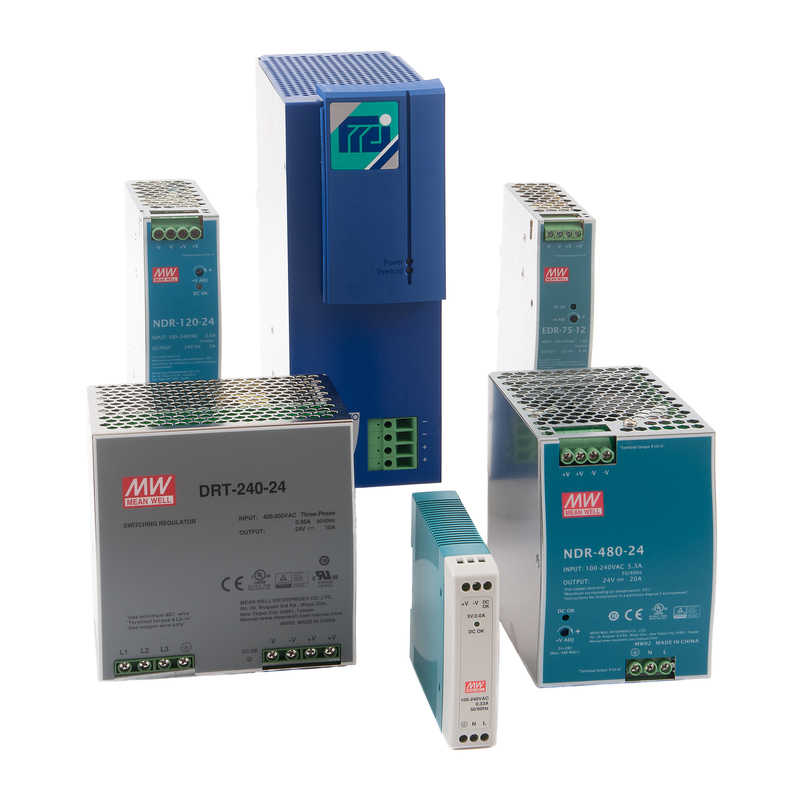 The units within the Mean Well single-phase (1ph) PSC series of AC to DC power supplies have designed for a wide array of security applications such as: security systems, emergency lighting systems, alarm systems, UPS systems, central monitoring systems, and access systems. 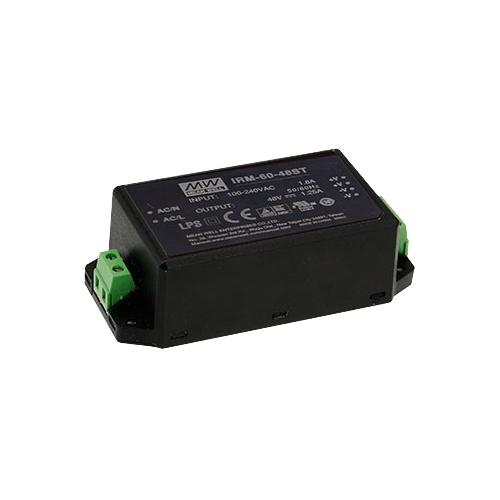 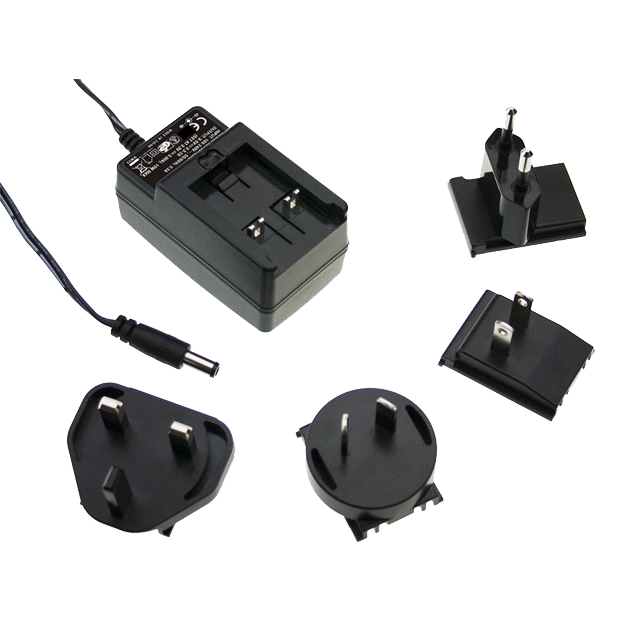 The PSUs within this series are open-frame type and also feature a battery charger and built-in PFC functionality. 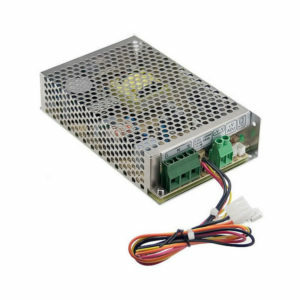 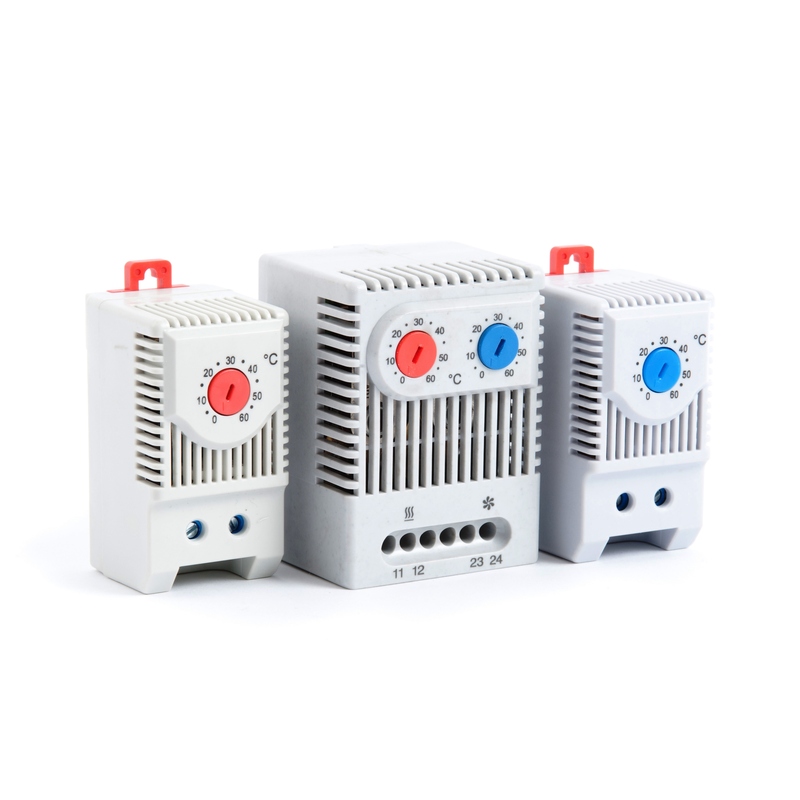 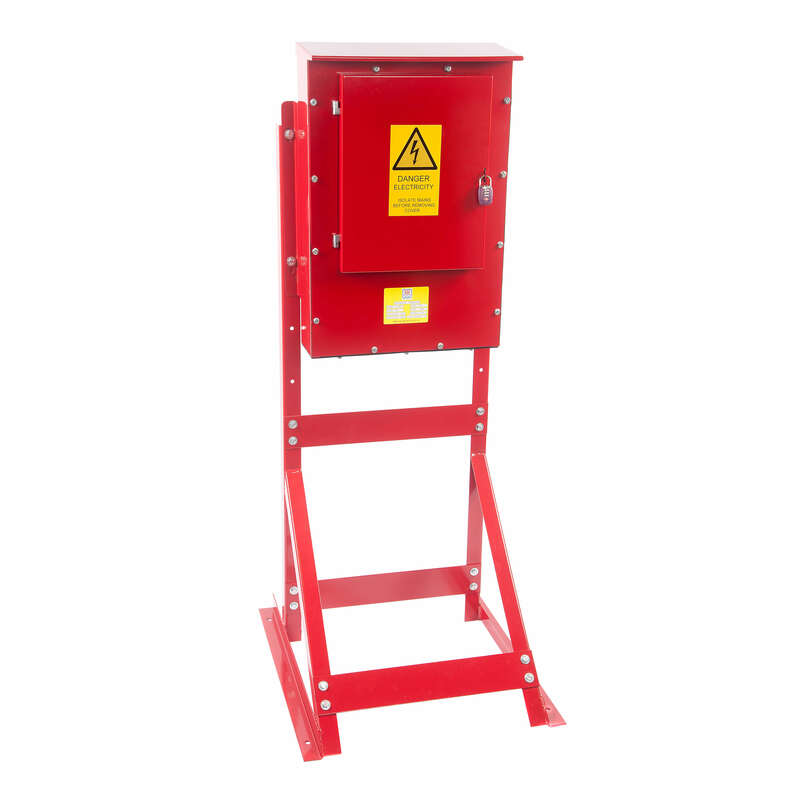 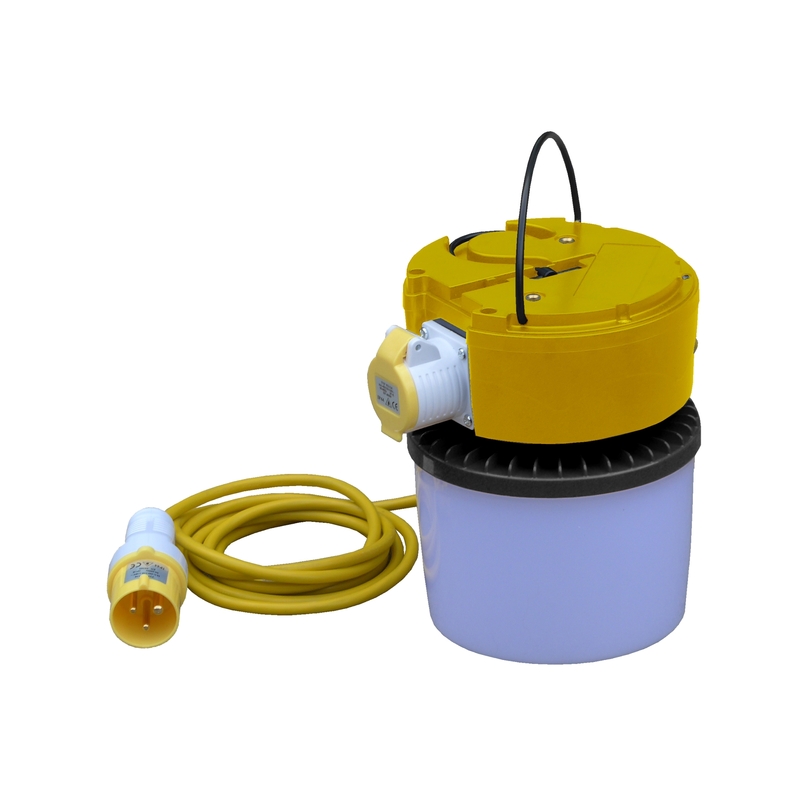 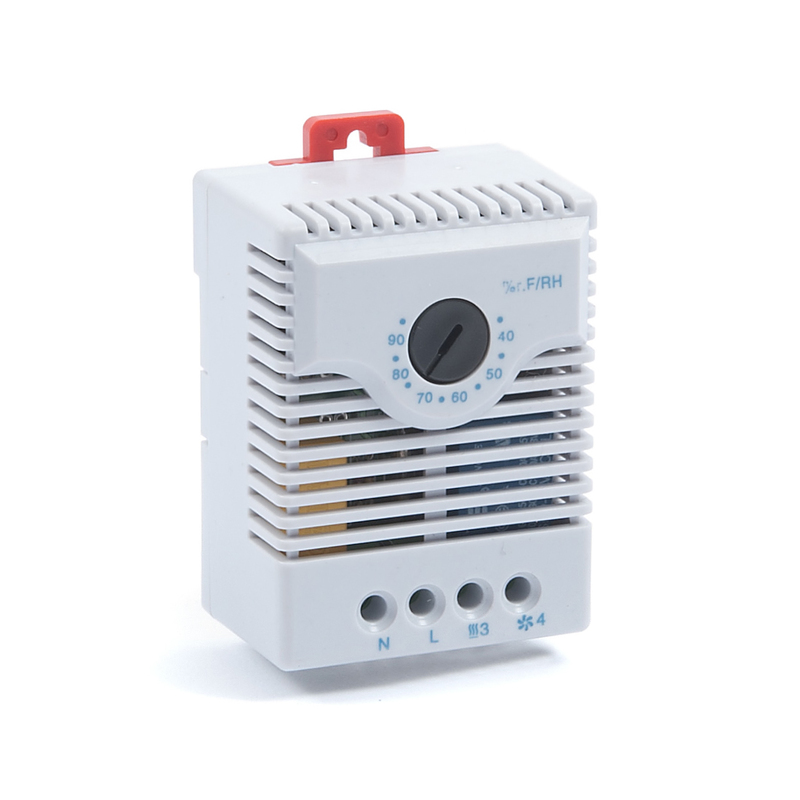 We currently only stock the 60 Watt model, with an output voltage of 13.8V DC. 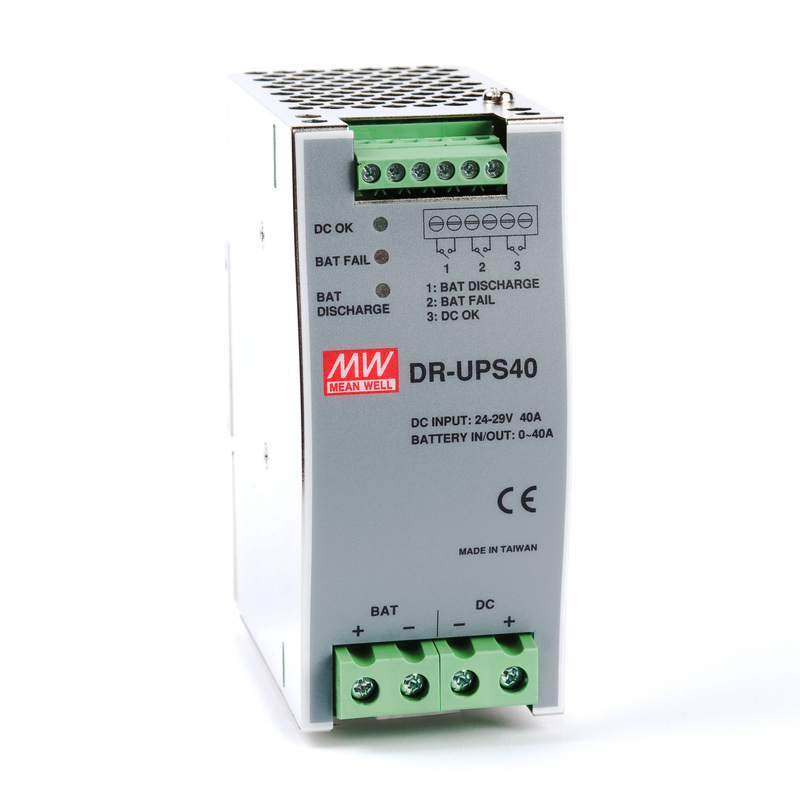 Click on the power supply image below, then pick your output voltage from the dropdown menu inside. The units within the Mean Well single-phase (1ph) enclosed SCP series of security series power supplies are designed for a wide array of security applications such as: security systems, access control systems, CCTV, emergency lighting, alarm systems, and central monitoring systems. 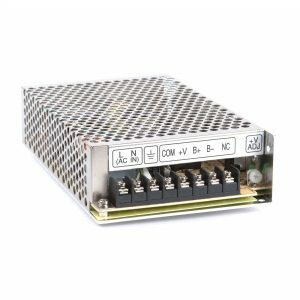 These single output PSUs are suitable for installation in metallic and non-metallic system enclosures. 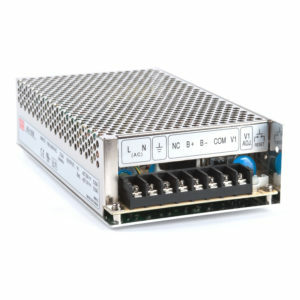 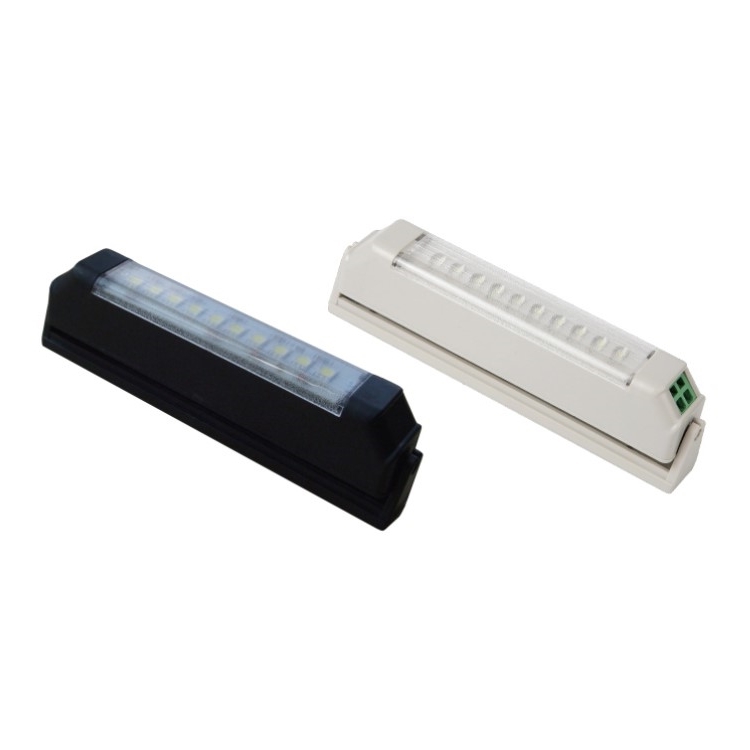 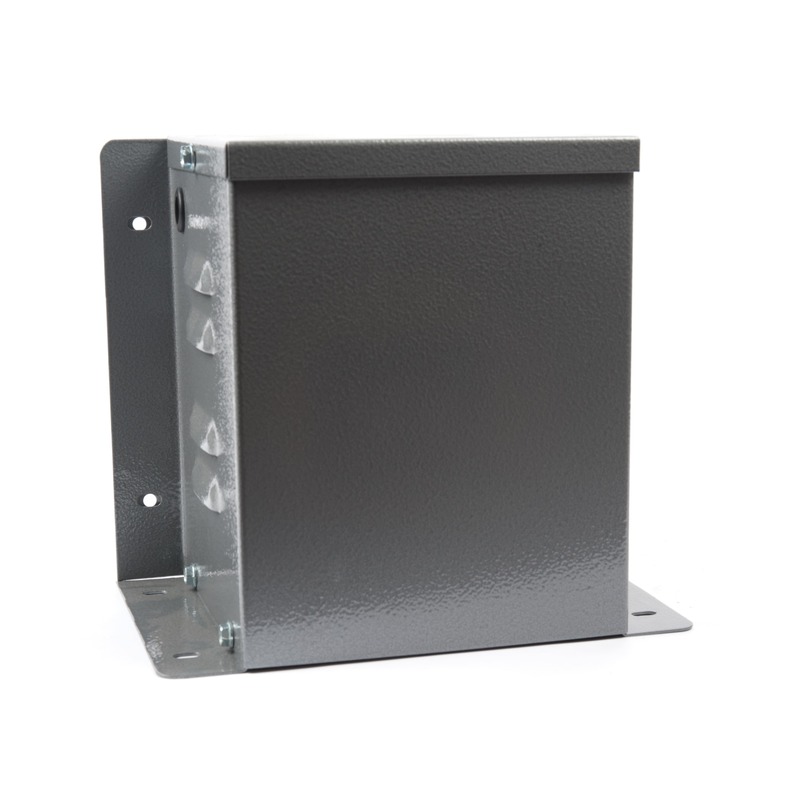 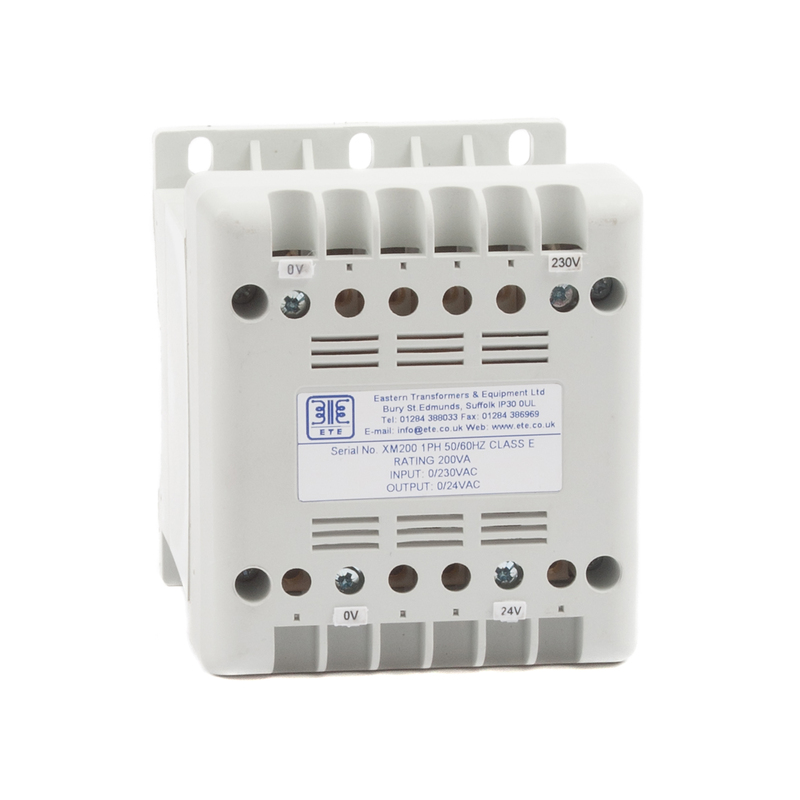 We currently only stock the 75 Watt model, with an output voltage of 24V DC. 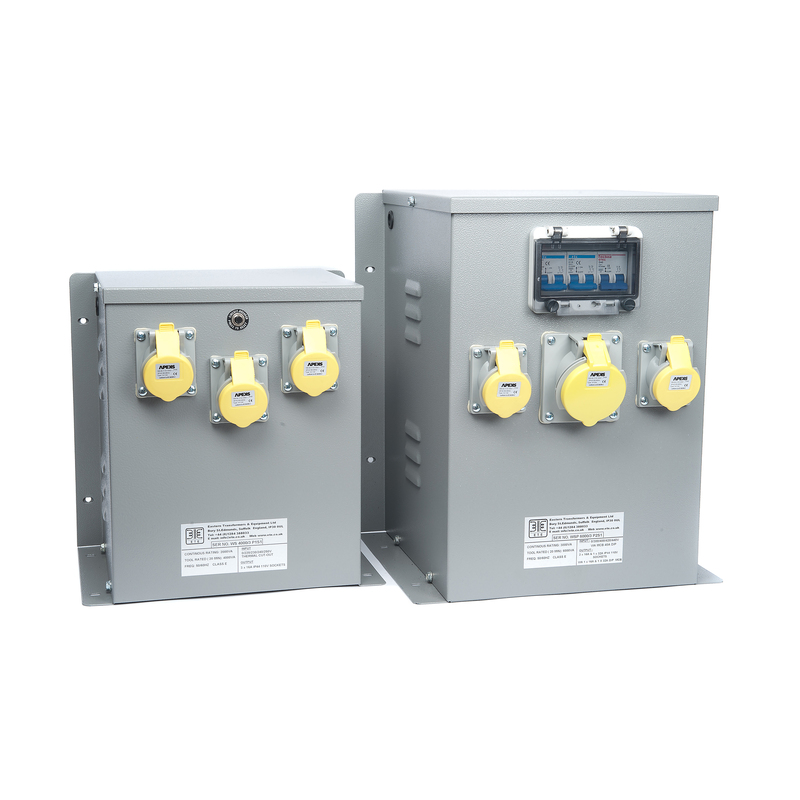 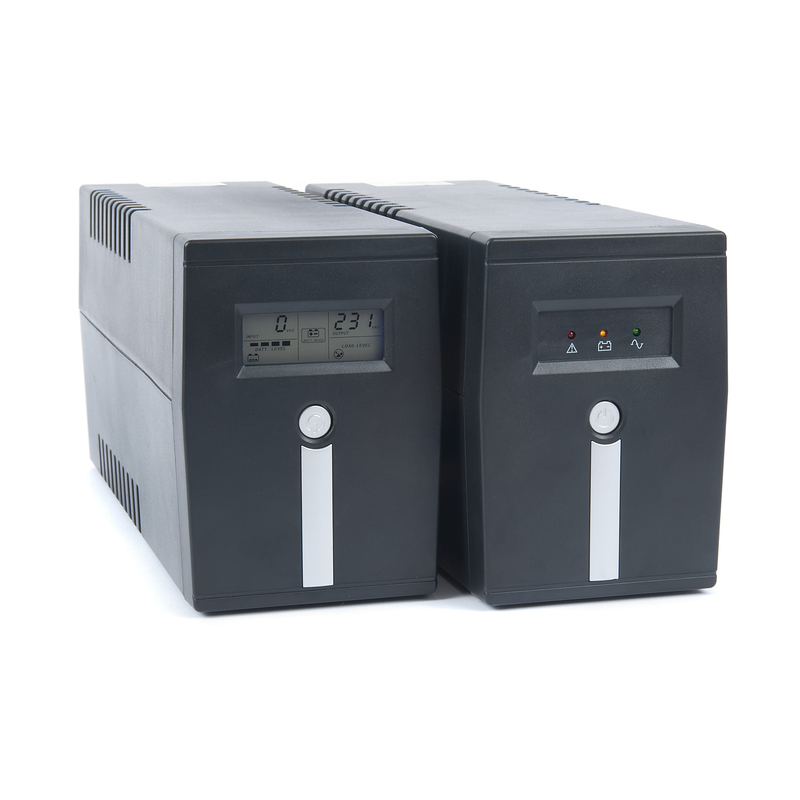 The units within the Mean Well single-phase (1ph) enclosed AD series of AC to DC power supplies (with battery charger and UPS capabilities) have been designed for a wide array of security applications such as: within control panels and UPS battery back-up. 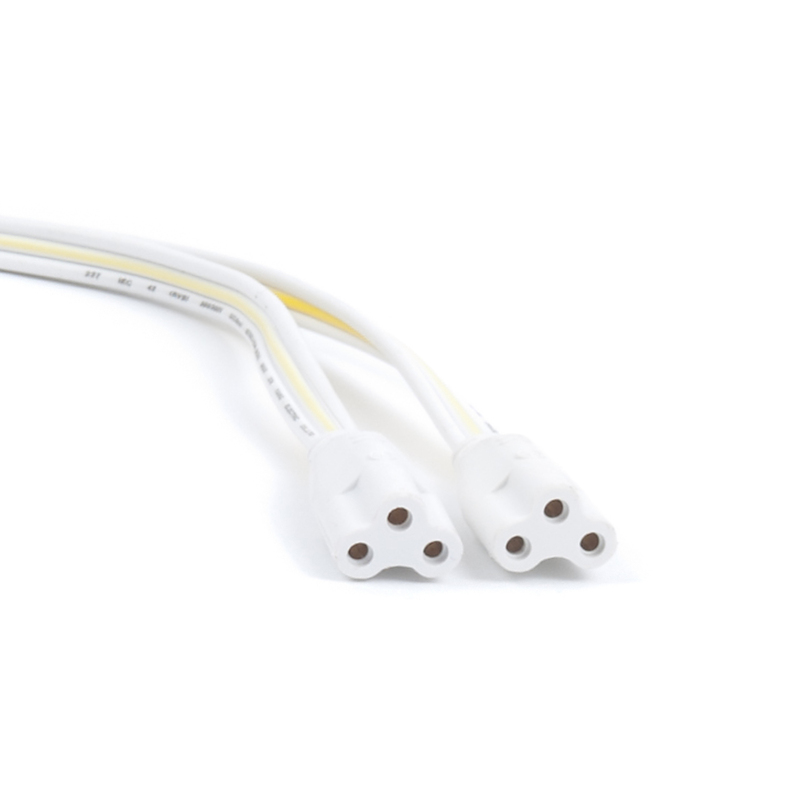 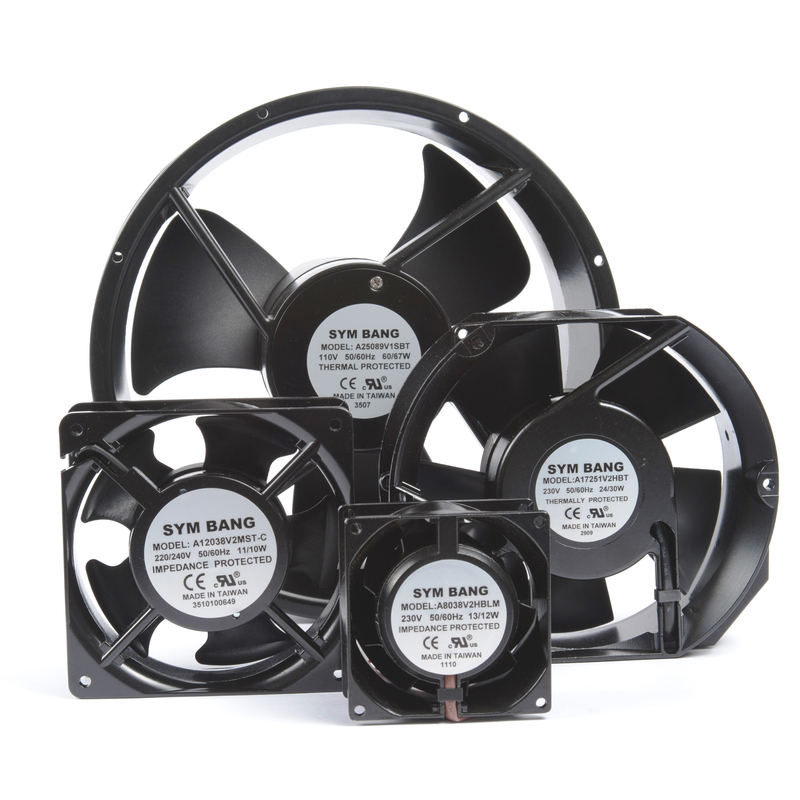 The models range from 55 Watts to 155 Watts, with output voltages from 13.8V to 27.6V DC. 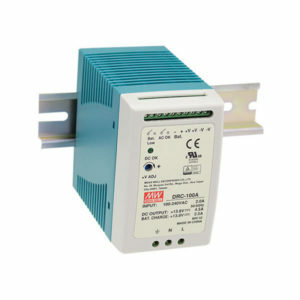 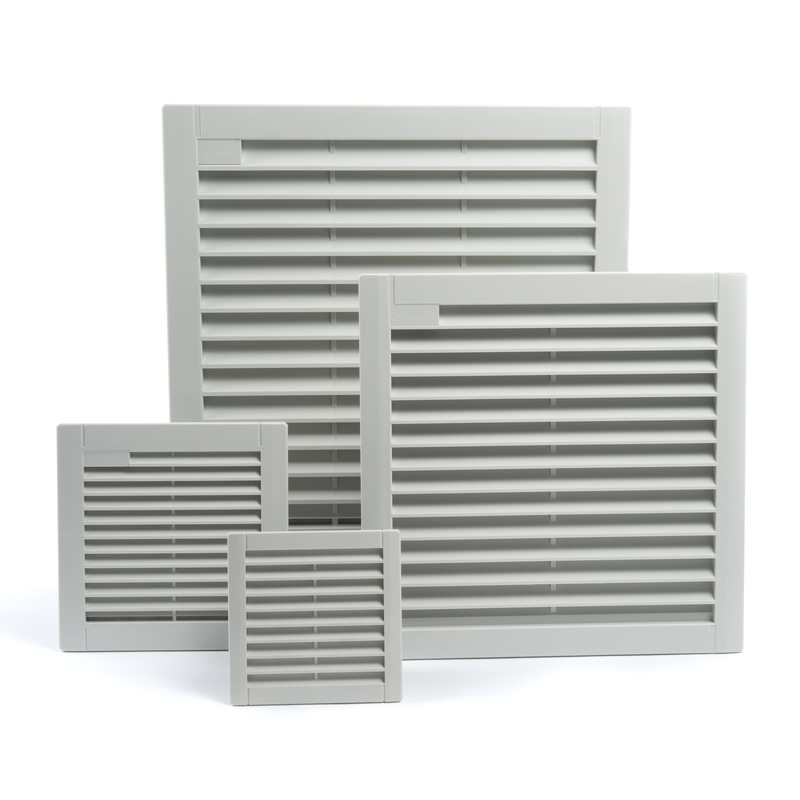 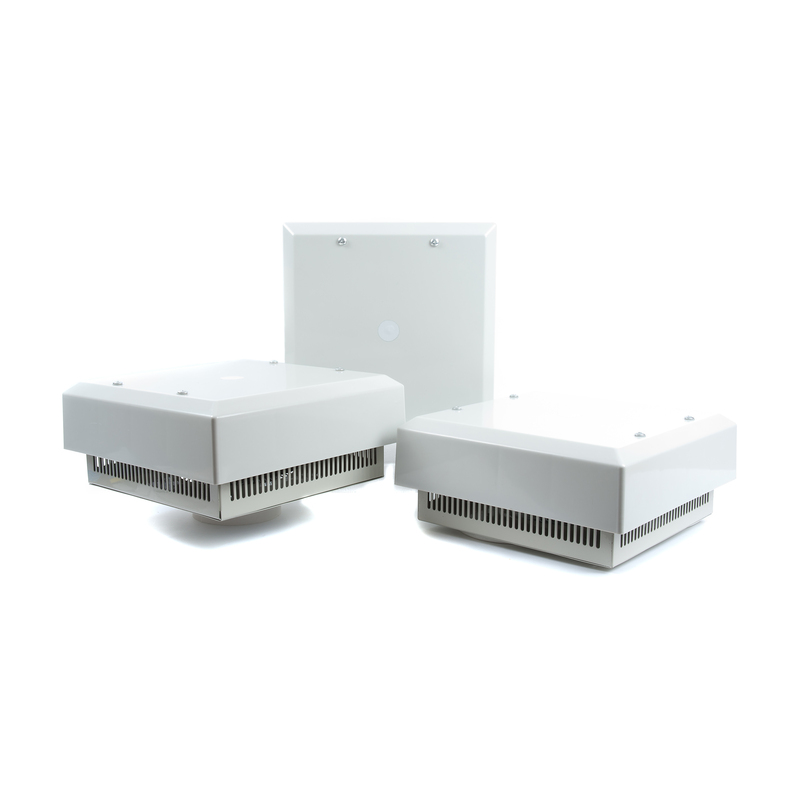 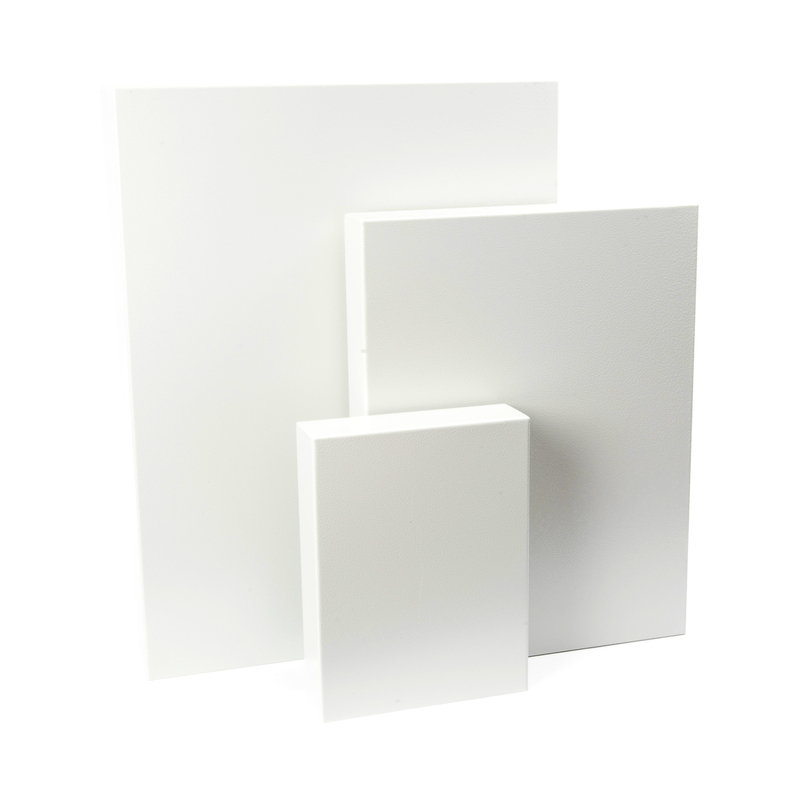 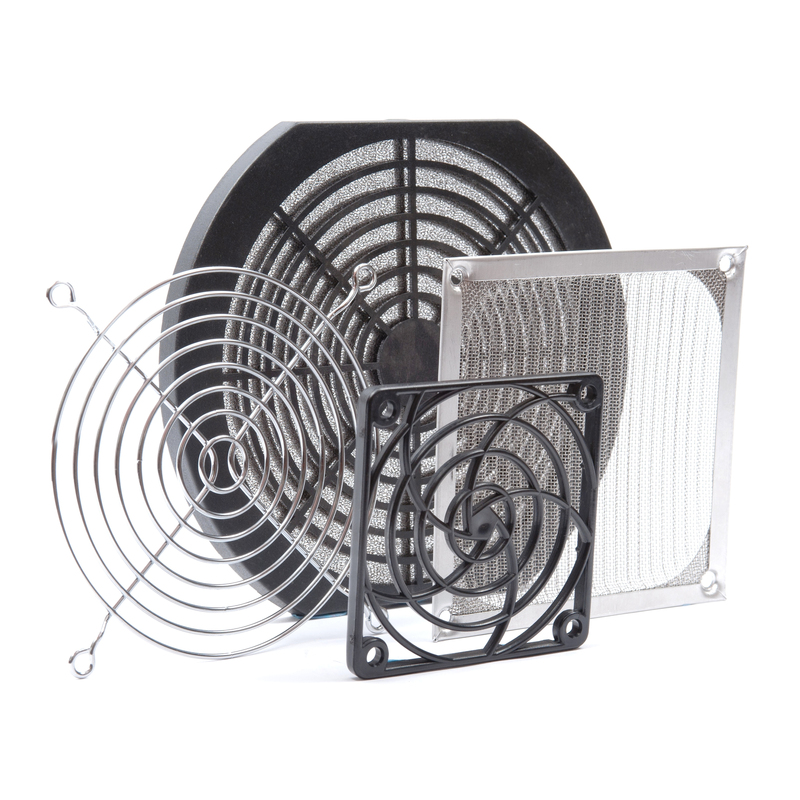 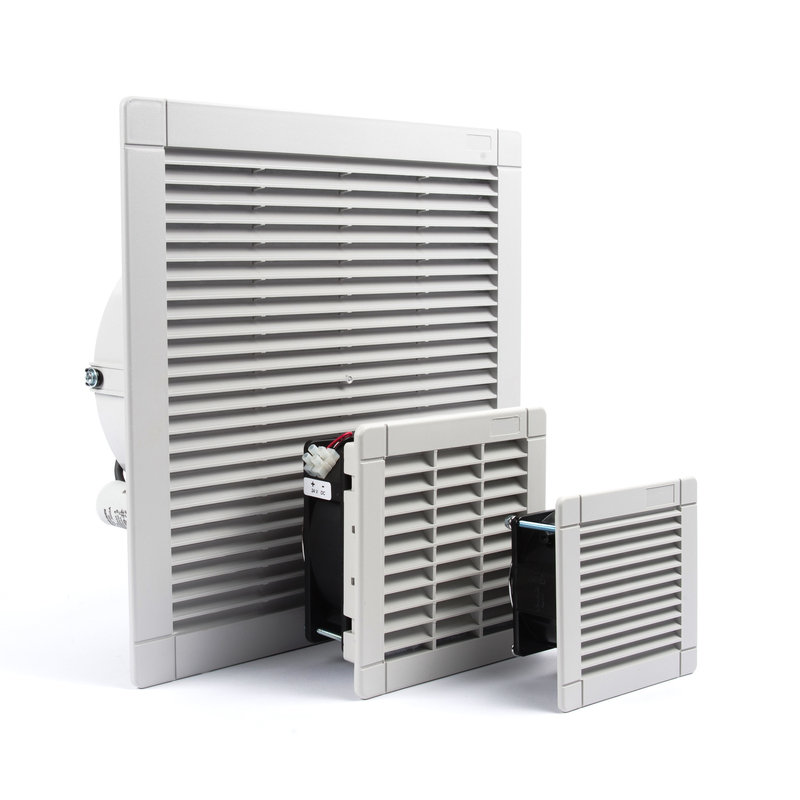 The 155W models have built-in PFC functionality. 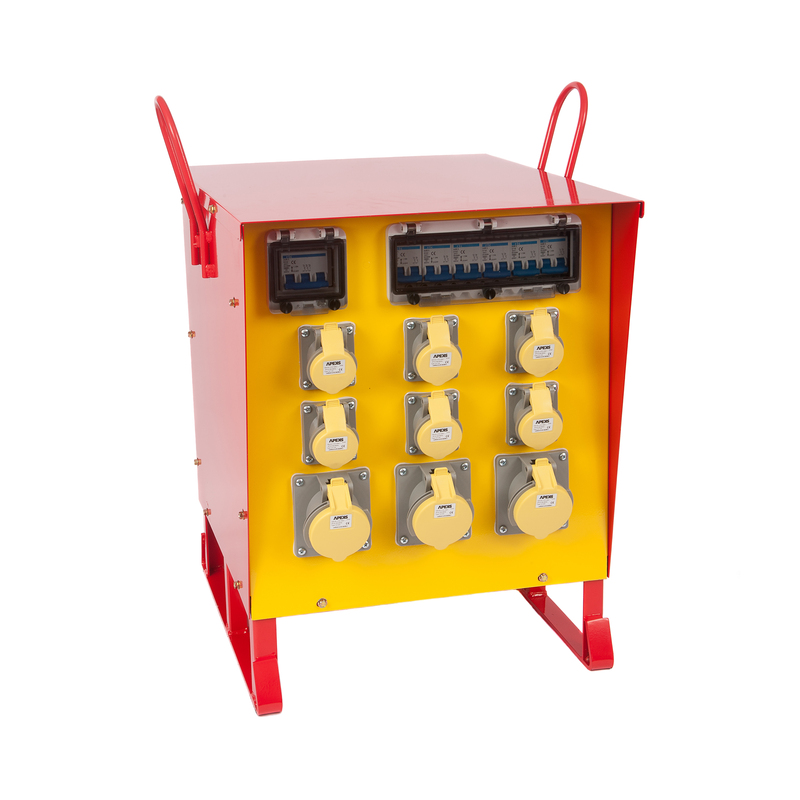 Select the power supply with the power rating of your choice then, pick your output voltage from the dropdown menu inside.